JL Audio CS110-WXv2 built their BassWedge enclosure to make car-rattling bass for a reasonable price, without the need for a ton of power. The enclosure’s designed to match the 10″ subwoofer loaded into it, so you know you’ll get every ounce of performance out of this system. The CS110-WXv2 BassWedge contains one 10″ WXv2 subwoofer that handles up to 200 watts RMS, loaded into a specially built sealed enclosure. You’ll enjoy punchy, detailed bass without taking up too much room in your vehicle’s trunk or cargo area. JL Audio uses state-of-the-art automated woodworking equipment to fabricate the high-quality MDF enclosure with rugged automotive carpeting, nickel-plated push terminals, and solid internal wiring. In a sealed enclosure, the woofer is tightly controlled by a trapped volume of air, which acts as a spring. The woofer must literally pull the air with it as it moves outward. 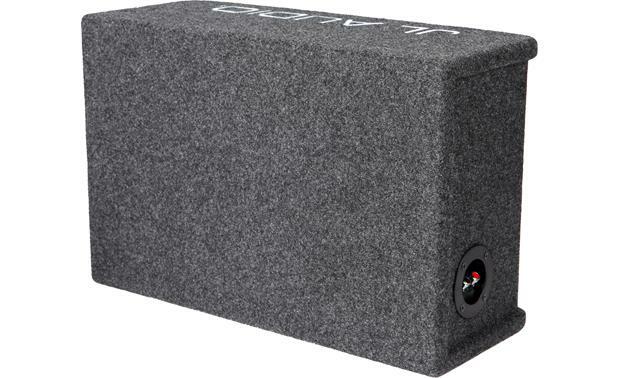 Sealed enclosures reproduce the low frequencies more accurately than ported enclosures because the air inside the box acts like a shock absorber, allowing the subwoofer to move back and forth in more control.The sound waves are reproduced more accurately than with a ported enclosure but the subwoofers may require slightly more power from the amplifier to get the woofers to move as much as they would in a ported enclosure. 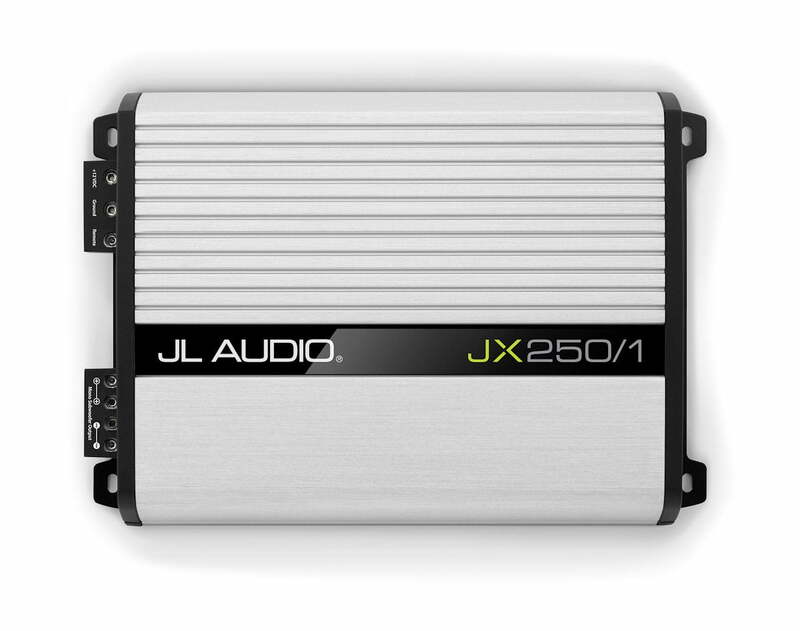 The JL Audio JX250/1 mono amp puts out up to 250 watts RMS to your sub, so you’ll experience plenty of full bass in your music. Use the variable low-pass filter and bass boost to tune the amp to your subwoofer system. An optional remote level control lets you turn the sub up or down from the front seat. The amp includes speaker-level inputs, along with preamp inputs and outputs, so it’s ready to work in virtually any system. You know you’re holding a serious piece of sound equipment when you feel the heft of a JX amp. JL Audio designed these amplifiers with sturdy, high-grade parts that ensure excellent heat management, provide high current flow, and deliver stable performance in almost any situation. You won’t find blinking lights or meters on the outside of these amps, but you will find oversized output transistors and rugged MOSFET power supplies inside. The sleek, high-mass aluminum heatsink keeps things cool enough to virtually eliminate thermal shut-downs. The JL Audio RBC-1, is a “Bass Boost” switch that activates a +6dB boost centered at 48 Hz. 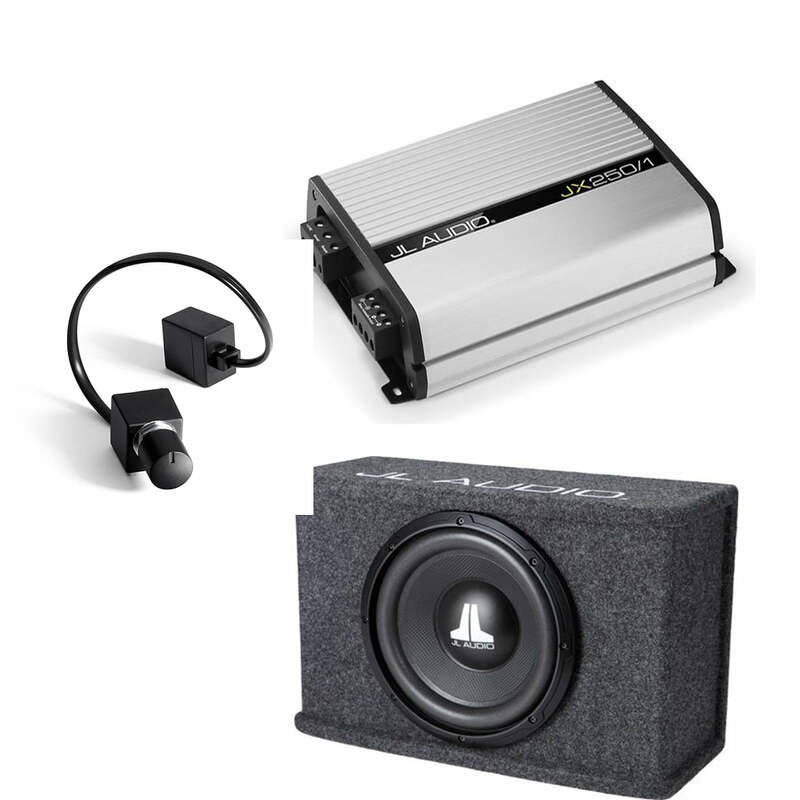 JL Audio amplifiers feature bass-boost circuitry to help you adjust low-frequency impact in your vehicle. The RBC-1 wired remote bass control works with all of JL Audio’s A-Series, G-Series, RD Series, mono JX-Series, and most Slash v2 amps. You can mount the RBC-1 controller in the front of your vehicle and dial in the amount of bass you want from the driver’s seat — mounting instructions, hardware, and a 18′ cable are included. Connect the JL Audio RBC-1 to your amp, and it converts the amp’s selectable bass boost (0 or 6 dB) to a variable boost (0 to 12 dB). With the Slash v2 amps, the RBC-1 takes the place of the amp’s boost knob, allowing you to adjust your bass boost from 0 to 15 dB. With RD Series and JX-Series mono amps, the RBC-1 controls the amp’s subwoofer level, from full mute to full volume.